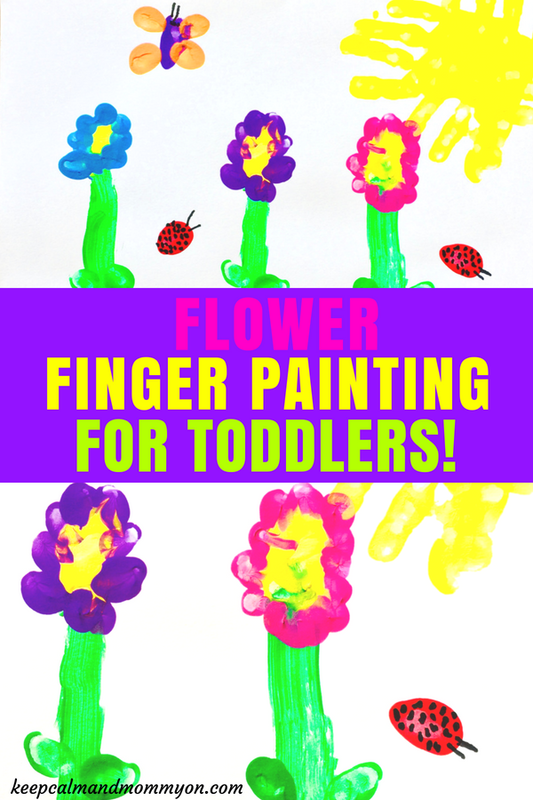 Flower Finger Painting For Toddlers! 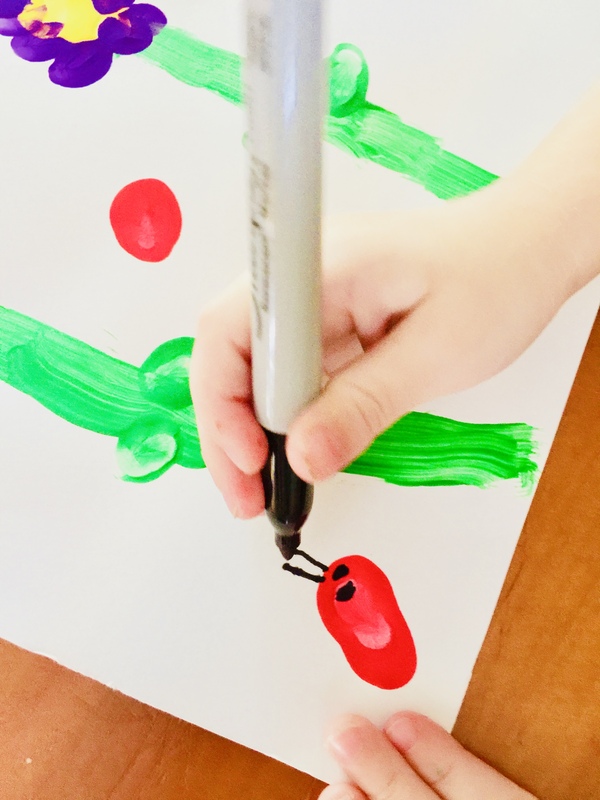 Are you looking for a great finger painting idea for toddlers? 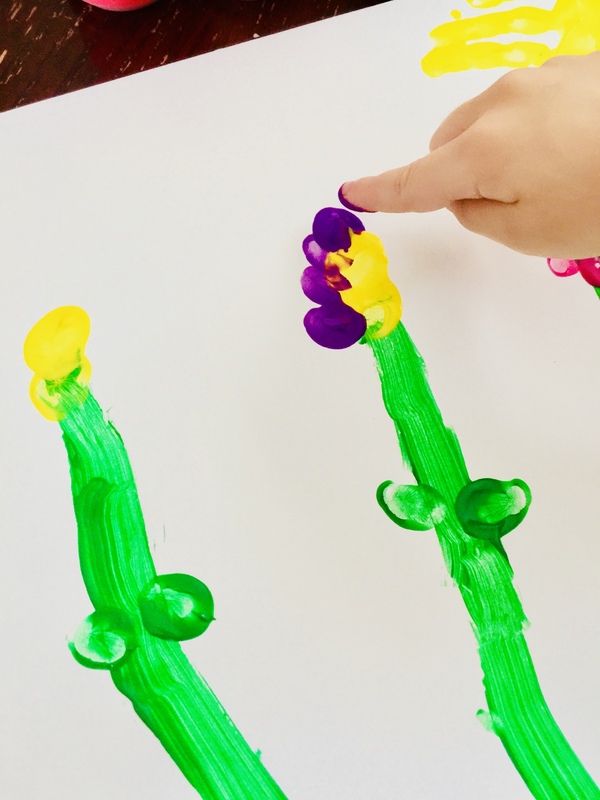 This flower finger painting for toddlers is lots of fun and something that is easy for toddlers to do! Your little one will be so proud of their finger painting artwork! 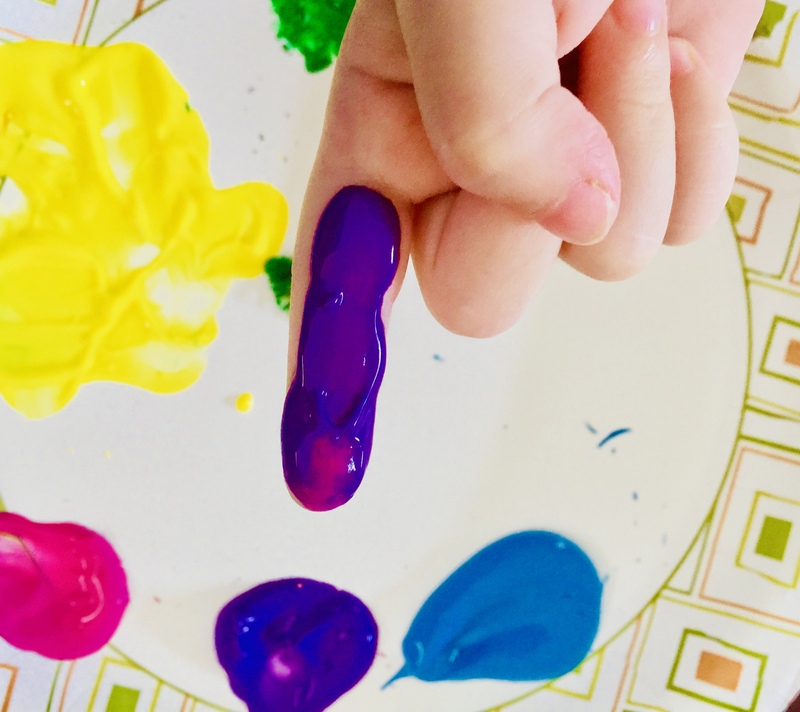 Finger painting is so much fun for kids! 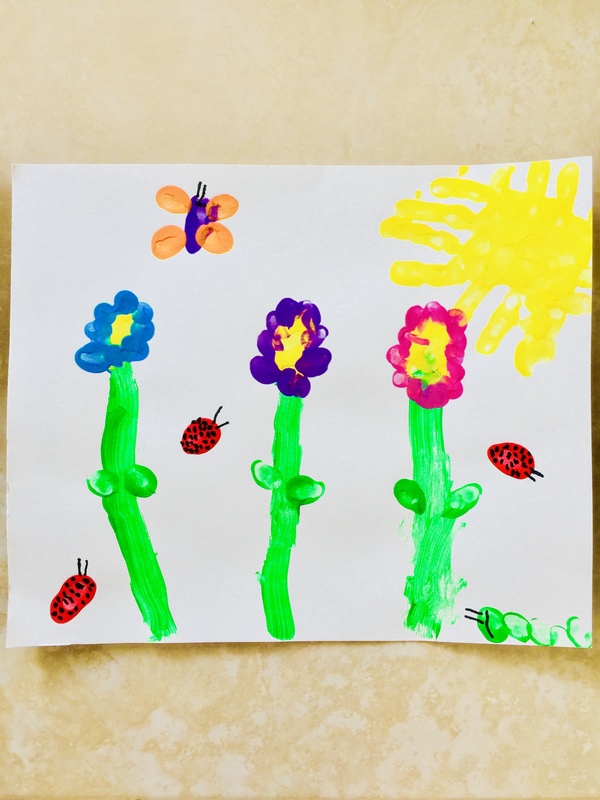 My daughter had a blast making these flower finger painting ideas! 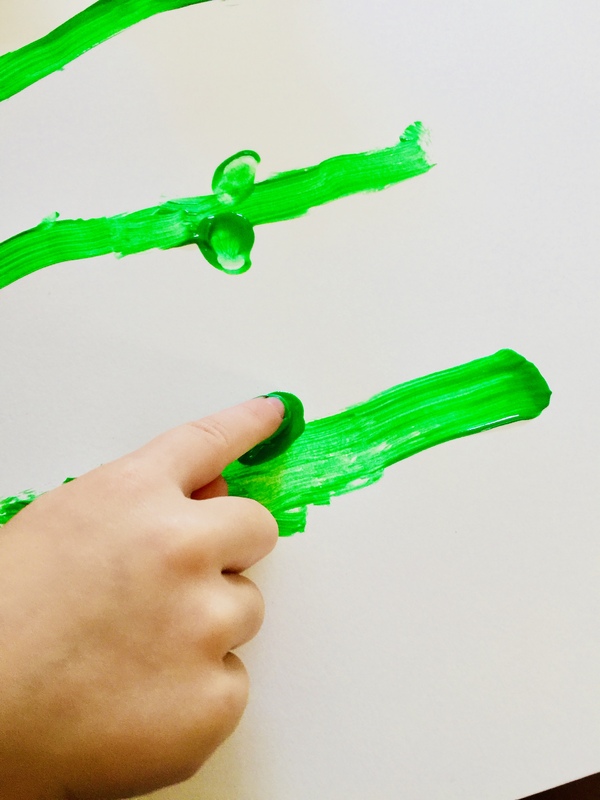 Finger painting is a great way for kids to express creativity and to use their imaginations! Simply give them a piece of paper and some finger paints and let them go! We decided to make a spring time finger paint craft. What can be more spring like than flowers?! She had so much fun finger painting! She loved the squishy feel of the paint. It’s also so much easier for toddlers to control their finger than a paint brush! We used this crayola washable finger paint. Trust me, this is the way to go! I freaked out at first, but with a soapy wet rag, it came right out of my rug! Crayola washable finger paint is the only finger paint I will use from now on! It’s awesome! 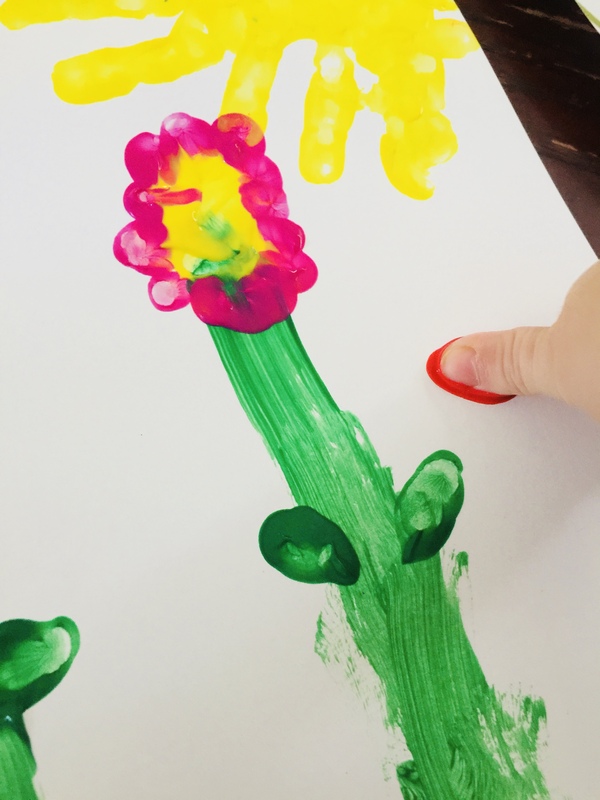 Finger paint flowers are so easy for toddlers to make! Which makes it a laid back no stress craft:) Finger painting for toddlers has never been so much fun! We started by painting our flower stems. I let the kids decide where to put them, how big to make them, etc. 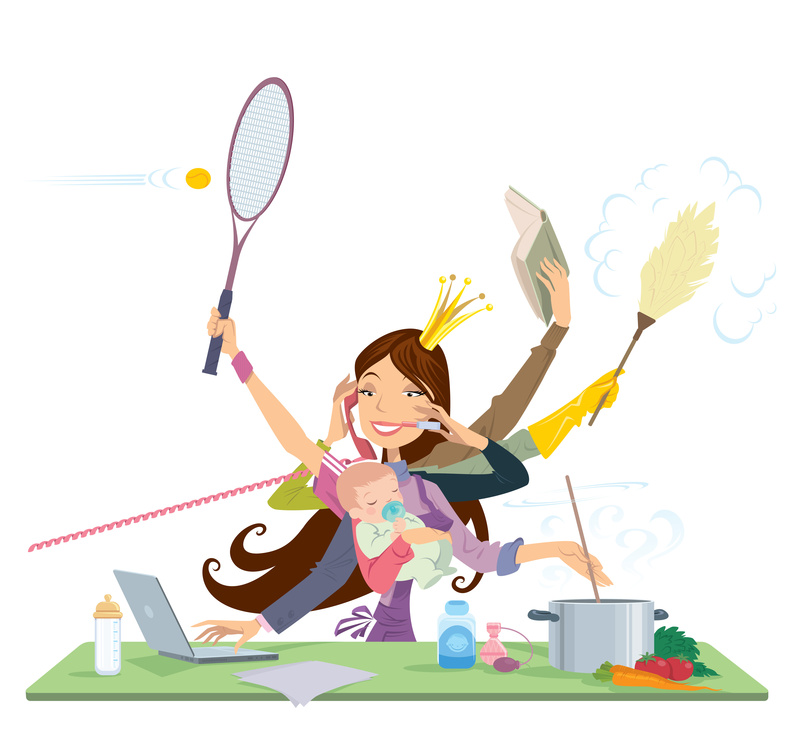 As Everyday Chaos and Calm puts it, this is more about the process than the final project. 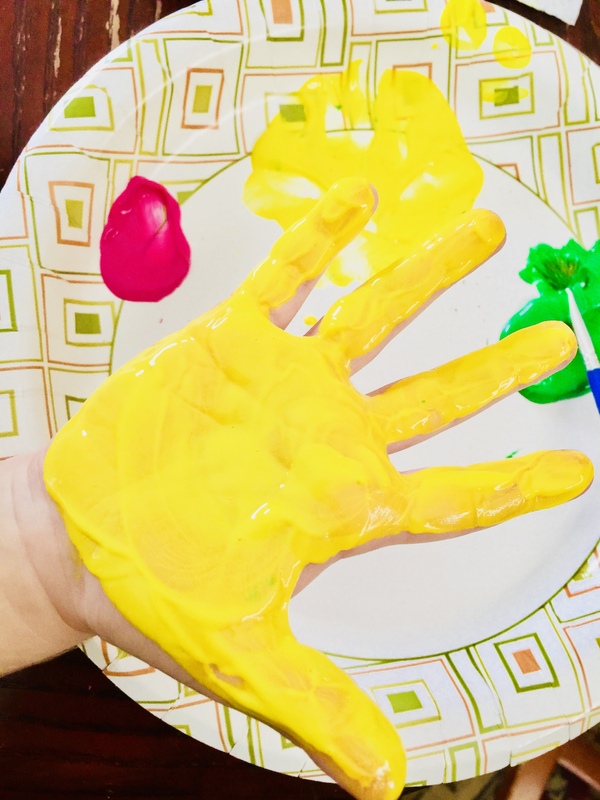 Check out Everyday Chaos and Calm’s post that shows you the right and the wrong way to do crafts with kids! After the stems she used her thumb and fingers to make leaves on the stems. To make the flower centers she used her thumb, and then she used her fingers to make the petals. After the flowers were complete she used her hand to make the sun. We coated her entire palm and fingers in yellow paint and placed it on the paper for the sun. Then we added more paint to her hand, turned the paper, and did another hand print over the other one. We kept repeating and turning the paper until there were finger sun beams going all the way around the sun. After the sun she made the bugs! She used her entire finger to make the butterfly body and finger prints for the wings. She used her thumb to make the lady bug. And she used her finger and thumb to make the caterpillar. After that we sat it aside and let the paint dry. After it was dry she went back with a marker and drew antennae, legs and lady bug spots on the animals. 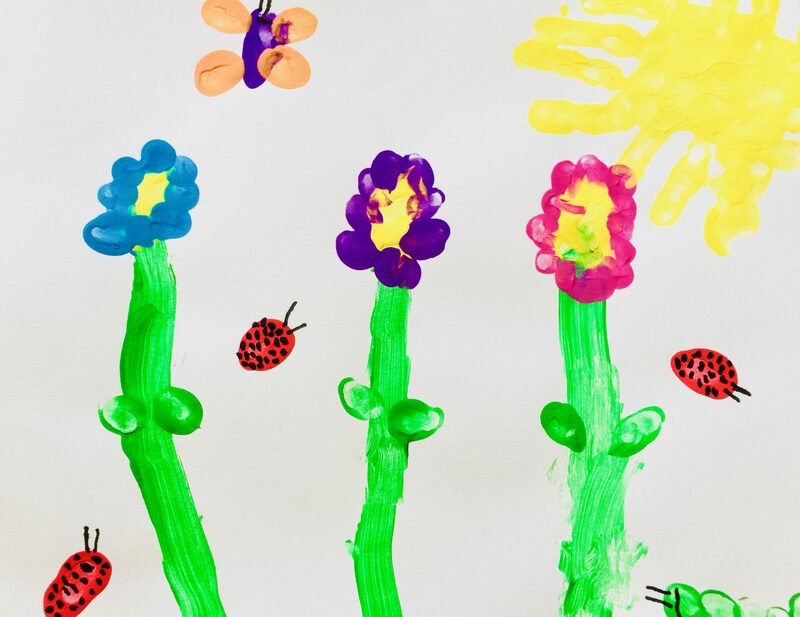 I hope you and your child enjoy finger painting flowers as much as we did! 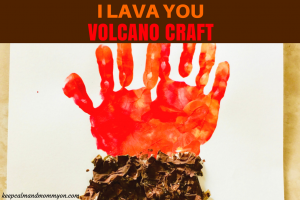 « I Lava You Volcano Craft!